Summary (from the inside flap of the book): Situated more than one hundred miles off Italy's southern coast, the rocky island of Lampedusa has hit world headlines in recent years as the first port of call for hundreds of thousands of African and Middle Eastern refugees fleeing civil war and terrorism and hoping to make a new life in Europe. Dr. Pietro Bartolo, who runs the lone medical clinic on the island, has been caring for many of them--both the living and the dead--for a quarter century. Tears of Salt is Dr. Bartolo's moving account of his life and work set against one of the signal crises of our time. With quiet dignity and an unshakable moral center, he tells unforgettable tales of pain and hope, stories of those who didn't make it and those who did. 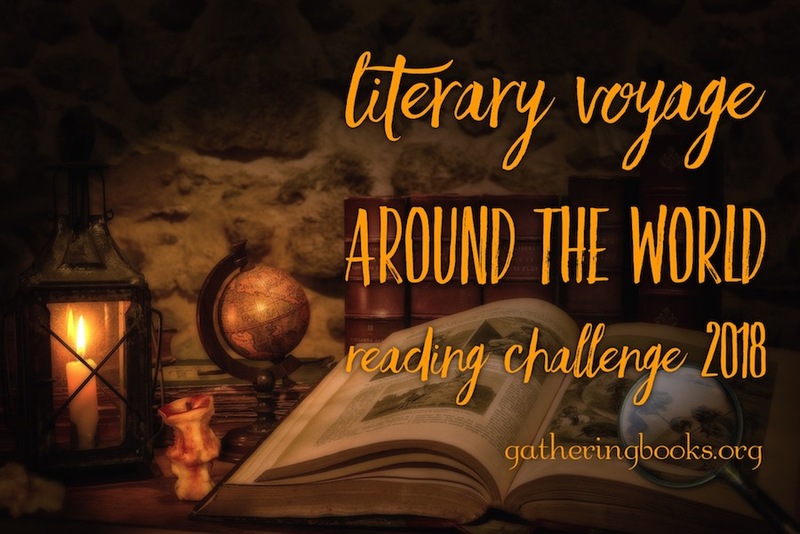 Review: I thought I would be sick of reading non-fiction since I've just read 14 for the CYBILS, but this one seemed like the right book to read right now and I am so glad that I picked it up! 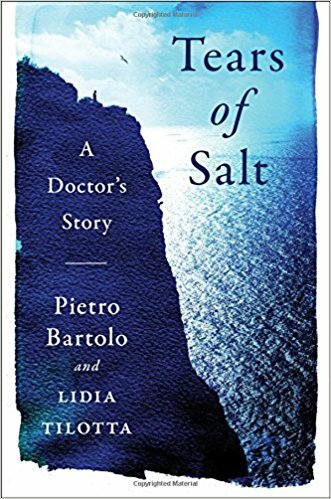 Rather than a heavy memoir or non-fiction filled with facts, this is a narrative story of one boy's journey to becoming his island's local doctor. He did not set out to be the savior for so many or the coroner for so many others, but he has taken on both jobs with grace and compassion. He is the doctor on the island of Lampedusa, Italy, just 100 miles off the north African coast. Lampedusa is the landing spot for refugees from Syria and various African countries. Bartolo and his staff (and the islanders) greet each boat, tend to wounds and disease, and get the refugees sent on to their destinations. When boats sink or crash, the islanders go out to rescue survivors or bring back the dead. "Whenever I see image so migrants being callously deported in their thousands, forced to return to the hell they have escaped, I am outraged. What kind of person has the nerve to seal the destiny of all these people with a mere signature on a pice of paper, then smile about it to the cameramen and pose for photographs? What has happened to us? How can we have so completely lost the memory of who we used to be?"